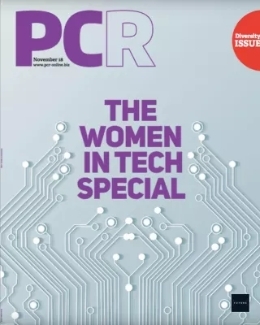 With PC sales slipping 10 per cent again this year, it’s easy to dismiss the box-shifting market and look to other growth areas such as the cloud, Internet of Things and 5G. But, for me, Computex 2016 demonstrated that we’re on the verge of a new great era of computing. It was the best Computex yet for me and highlighted a number of exciting hardware innovations worth shouting about. First up, virtual reality was one of the core themes from this year’s show in Taipei, of course. AMD announced its Radeon RX 480 GPU built for PC VR experiences, ARM revealed the Cortex-A73 and Mali-G71 VR-ready mobile chips. MSI even showcased a cool VR PC backpack (see below) that aims to solve cabling issues, and impressed further with its VR-ready Vortex desktop, AEGIS PC, a custom machine that doubled up as a candy floss maker, and super high-end GT83/GT73 Titan SLI laptops. Microsoft announced it’s opening up the Windows Holographic platform to third parties (for VR/AR), while the LucidCam 3D virtual reality pocket-sized camera reminded visitors that simple VR content creation is about to become a thing in its own right. Intel showed a 360-degree livestreamed virtual reality jazz concert delivered from the Blue Note Jazz Club in New York to Computex using 4K video delivery on Intel Xeon E3v5 servers. ASUS also had its own surprise VR headset on show, though it wasn’t shouting about it. Details are scarce but you can expect that to arrive next year. Other products included the Rampage V Edition 10 X99 gaming motherboard, ZenFone 3, ZenWatch 2, ROG Claymore mechanical keyboard, Swift PG248Q, narrow-bezel gaming monitor, Centurion gaming headset and XG Station 2 external graphics dock. Robotics were another theme at Computex. Aside from the president of Taiwan speaking to ASUS’ ZenBo robot, Pepper presented the pride of design for COMPUTEX d&i awards, and Epson announced a new Micro Piezo force sensor as it looks to grow its industrial robotics sales. The sensor allows a robot to feel its way into a space with an accuracy of five thousandths of a millimetre. "It changes the way robots can be used," president and chief exec Minoru Usui said. "We think the market potential for the force sensor is enormous." Looking ahead to the future, 5G and the Internet of Things were touted as key emerging areas by Intel. Intel announced the AnyWAN GRX 750 system-on-a-chip (SoC) family and the XWAY WAV500 Wi-Fi chipset – Intel’s new 5th Generation 11ac MU-MIMO Wi-Fi family of products for home gateways. 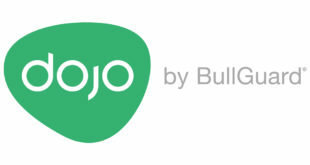 This enables local and cloud-based services, media creation and content sharing for tools including ‘things’ in a person’s home. Intel is also allowing OEMs and ODMs to deliver home gateways and Wi-Fi Access points for the retail market. "Where 4G was about moving data faster, 5G will bring more powerful wireless networks that connect “things” to each other, to people and to the cloud," Intel said in a statement. 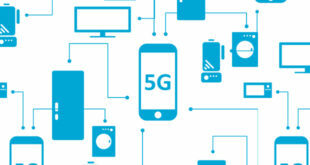 "5G will transform our lives by helping deliver a smart and connected society with smart cities, self-driving cars and new industrial efficiencies. "During Computex, Intel announced an agreement with Foxconn to collaborate on the development of network infrastructure technologies to accelerate this transition." Read more of Intel’s thoughts from Computex here. 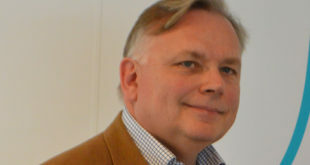 Acer also outlined its BeingAware vision powering IoT devices for connected cars, cities and devices (including home appliances), and ambitions in the VR space with StarBreeze. Looking at CPUs, Intel announced the i7 processor Extreme Edition, the company’s most powerful desktop processor ever featuring 10 cores. It also showed off the Xeon processor E3-1500 v5 product family (powering workloads for media processing and data centre graphics), and demonstrated Kaby Lake processors which are due this year, as well as new Skylake Xeon E3-1500 v5 server processors. AMD meanwhile unveiled its Zen CPU, which has 8 Cores with 16 threads, promises a 40 per cent increase in computing power and is geared towards mid-range to high-end rigs. 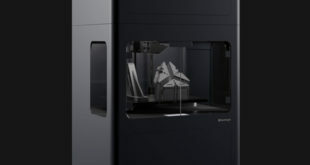 It will be available to manufacturing partners by Q3 2016. AMD also announced its 7th Generation AMD A-Series mobile Accelerated Processing Units (APUs), which promise to offer a 50 per cent hike in performance over the previous generation Carrizo APUs. Elsehwere, chip maker Qualcomm revealed the Snapdragon 1100 CPU aimed at for low-end fitness trackers and smartwatches. Turning to new PC hardware again, there was too much shown off to mention in a single article. Some of my personal highlights include Acer’s Switch V 10 and Acer Switch One 10 2-in-1s, Aerocool’s Dream Box modular kit which allow users to create a rectangular case, a helicopter themed PC or anything else, and Antec’s Trapeze case with lighting underneath the unit. Corsair impressed with a new range of magnetic levitation technology fans, new DDR4 memory and the Hydro GFX GeForce GTX 1080 with MSI. Dell featured new Inspiron 2-in-1 notebooks, from the 7000 17-inch to the 11 3000 for family users and the more powerful 5000 series. Other innovations included iRocks’ LEGO-compatible keyboard, some crazy custom PC cases including a Ghostbusters-themed chassis, the Delta multi-purpose 3D printer (which combines 3D scanning, 3D printing, laser engraving and drawing in one machine), the Blocks modular smartwatch, reversible USB 2.0 connectors from Jpower, WISO’s Smart Bluetooth safety whistle and the Wooting One is an analogue mechanical keyboard. 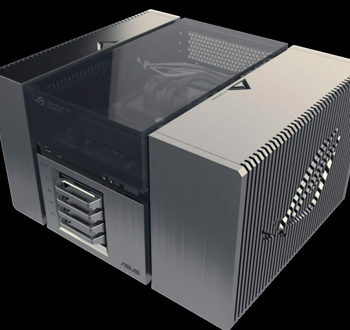 Then there’s Overclockers’ $20,000 OrionX (pictured above), an extreme high-end gaming rig at the very top of the market. Cooler Master’s new MasterCase and MasterConcept 2.0 is worth mentioning, having made strides towards creating a fully modular PC case. And finally, Lian Li presented its 2-in1- desk that’s also a PC, aimed at health-conscious folk interested in standing while working on the computer. 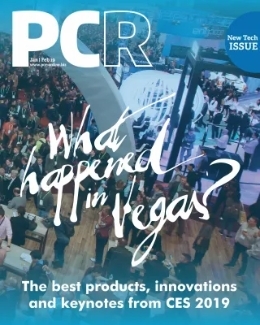 It all goes to show that PC hardware is alive and kicking – could 2016 be the year of true innovation in this area? The only potential downside for the market is something it’s been battling for a while now. As PCs and mobile devices are built to such a high standard, they already have a long life and consumers are holding onto them for longer. You could argue that these new products will have a similar effect, but as always it’s the consumer that wins. And as long as there’s consumer interest and demand, there’s new business to be won. With this new wave of devices and technology, the future is bright for the PC market – and I’m excited to see what effect these products have in the channel. We’re due a rise in hardware sales, so come 2017 and 2018, don’t be surprised if those global sales numbers finally start to stabilise. 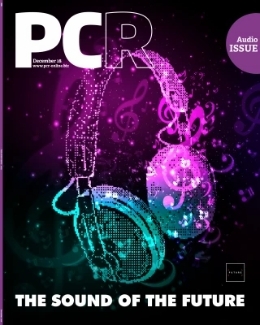 Check out the next issue of PCR for a more detailed look at our pick of products and retail reaction.